After 52 unsuccessful runners in the John Smith’s Grand National, Paul Nicholls secured a seventh trainers’ championship when Neptune Collonges got up by a nose to win under jockey Daryl Jacob. “Brilliant, brilliant, brilliant! I wasn’t sure we had got there,” said Nicholls. “He was running away when the other horse was stopping and I thought the verdict could have gone either way. He got there at the right time and that’s what counts. This has been a race we haven’t had the best of luck in but it’s great to win. It’s a race everyone knows and everyone watches. “If it hadn’t been for Denman or Kauto Star then he’d have won a Gold Cup. He’s won two Guinness Gold Cups at Punchestown and been placed in a Gold Cup and no other horse apart from Synchronised had form like that. Gold Cup form counts for an awful lot. 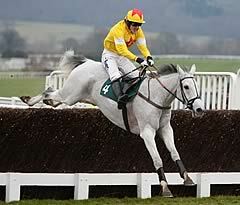 What a fantastic horse he has been and he will retire now. He’s probably the best horse we have run in the race. I knew he’d stay and keep galloping. 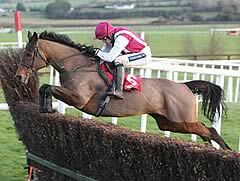 “Ruby (Walsh) always just felt he was too old. I’m so chuffed for Daryl, he went the brave man’s route and little short cuts like that make all the difference. Daryl keeps getting better and better and when you have a second jockey like him things like that can happen. “When (bloodstock agent) Anthony Bromley bought him from France he said we’d be disappointed when we saw him. I thought they were having a joke when he arrived because he was so narrow and only about 15.2 hands, a typical horse from France. I said I couldn’t let Mr Hales see him for a while and fed the horse up! Jockey Daryl Jacob dedicated his victory to former weighing-room colleague and housemate Kieran Kelly, who died in a fall in 2003. “Kieran looked after me when I went to work for Dessie Hughes in Ireland and he virtually kicked me out of the house to tell me I had to go and ride in England so without him I wouldn’t be here. It is the same with people like Robert and Sally Alner, I’m just happy to repay them for all they did. This means the whole world to me, it’s the race every jockey wants to win,” said Jacob. “It was a very, very close finish and I didn’t know where the finishing line was. I just kept driving until 10 yards after the line. He was going as fast as he could at the start as at the finish, I just steered him. He went his own pace, I just sat there. Owner John Hales said: “This is so emotional for me and he retires today. I just wanted to get him round safely but I never dreamed he would win. I thought the handicapper had given him 6lb too much. “My wife Pat watched with Paul but I was on the move half-watching. My thought after he jumped the last was just ‘thank God’, he’s home and well. I have nothing against Aintree but after what happened here in 1998 with One Man the place has owed me that one, so thank you Aintree. “We had not thought about coming here but then he went to Haydock last time and, with a big weight and ground he didn’t like, I thought we were only going through the motions running there. But he ran a brilliant race, he would have won in a couple more yards and he earned his right to come here. “He was going to retire win, lose or draw after today and will retire at my home now. It meant a lot to me when J P (McManus) congratulated me, giving me his good wishes after a terrible moment for him. It says a lot about the man that he could do that. Katie Walsh came closer than any other female rider in John Smith’s Grand National history when finishing a good third on Seabass, trained by her father Ted, five lengths behind winner Neptune Collonges and Sunnyhillboy, who was just a nose behind at the line. Walsh, 27, who was having her first ride in the National, said: “He gave me an unbelievable spin. I was wrong a couple of times and he put me right but it’s just a fantastic experience and great to get round. I want to go out and do it all over again. Ted Walsh, who trained Papillon to win the National in 2000 under son Ruby, added: “I’m really proud of them both. I just thought for a few moments there we were going to see history. It was brilliant. “I was a little worried about stamina and he probably ran out of it a little bit at the elbow but he jumped well and ran well. Cappa Bleu, only having his ninth start under rules, ran a terrific race to finish fourth in the John Smith’s Grand National, despite a number of horses falling in front of him during the four and a half mile marathon. Paul Maloney has now placed in the past four renewals of the John Smith’s Grand National after finishing in the money aboard Cappa Bleu’s stable companion State Of Play, who failed to finish this year.